For years campers have returned over and over to Camp Quinebarge. Campers continuously say how much fun they have at Camp. From playing tennis to making s’mores with your cabin in Monkeytown, campers have fun at Camp Quinebarge. 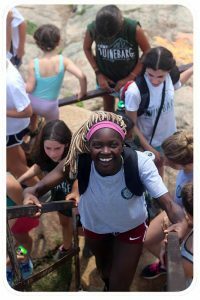 We find that the friendships made at Camp, our ‘unplugged’ environment, international staff and campers, and the great food at Camp make Quinebarge America’s best overnight camp. Recently, Camp Quinebarge celebrated its 80th anniversary. We had so many people show up from all around the world. Campers from 1980 talked about how they are still good friends with the boys that were in their bunk. Throughout the history of Camp Quinebarge creating everlasting friendships is a constant. Every year at Camp Quinebarge we have staff and campers return at a very high rate. They find that Camp is a very accepting community of all backgrounds. Our international staff and campers find that Camp Quinebarge is their home away from home. Our international staff come from all over the world, adding a wonderful cultural exchange for our campers, some of whom are from countries far and wide themselves. Our nutritious menus provides something for everyone. 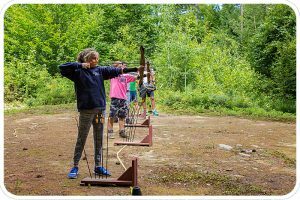 Whether you are gluten free or a vegetarian, Camp makes sure that you are getting the proper servings everyday to be a happy and healthy camper. 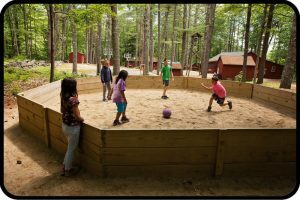 Campers love everything from our outdoor Taco Tuesdays and cook outs to our Camp Quinebarge original Whoopie Pies. Camp Quinebarge is a premier co-ed summer camp and one of the top summer camps in the US. We look forward to welcoming you to Quinebarge. Watch our awesome Camp video!